The year is 2200. The Imperial Fleet has suffered heavy losses defending against Xi attacks. Mankind's resources are reaching their limit. You have been promoted to Admiral of the remains of the 13th Fleet. Your mission is to defend the Hydra Star Cluster against Xeno incursion. They will strike at us from all directions. Exo Fleet is a space/action/strategy game. 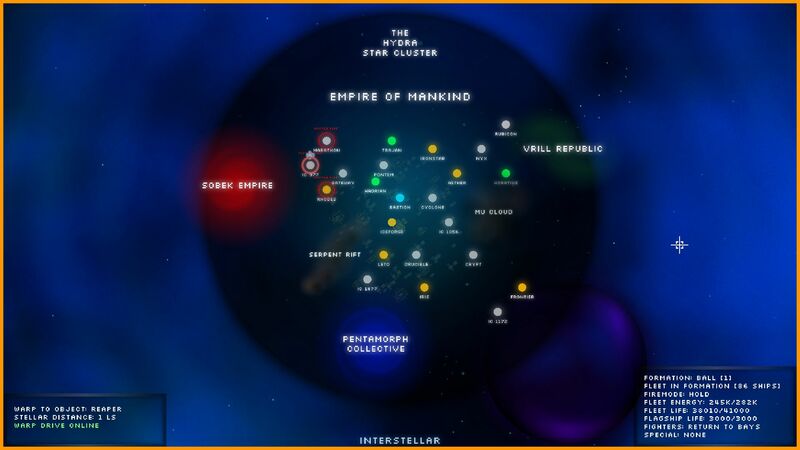 You must manage the defense of your star systems against a multitude of enemies. Build and upgrade a fleet with a variety of ship types and special weapons. Use your mobility and firepower to crush the enemies of the Empire.